1.100% organic cotton certificate issued by CU. No formaldehyde and fluorescent. 2.No bleaching, no elaboration, and no harmful chemicals remained in the textile in production procedure. 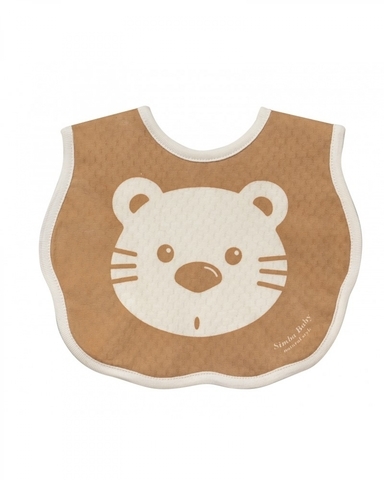 3.Natural organic cotton, comfortable and gentle, breaths well. 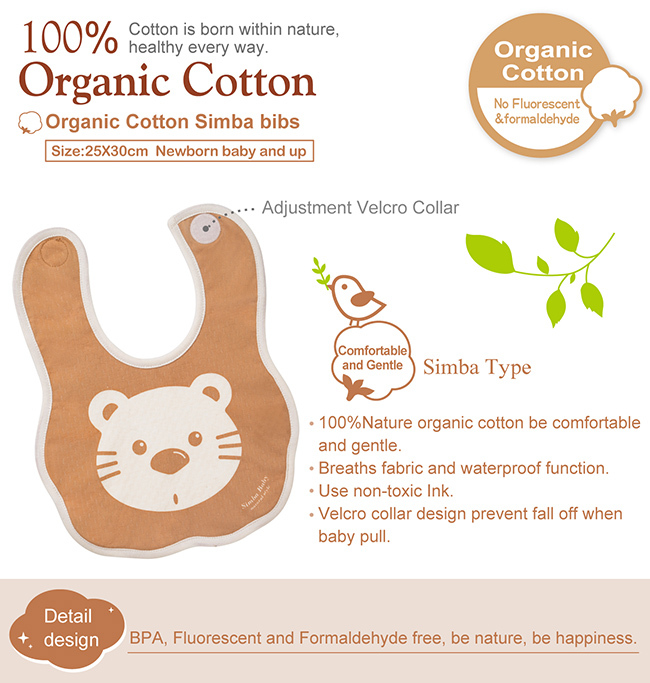 4.Simba type use non-toxic ink, it is safe to wear. 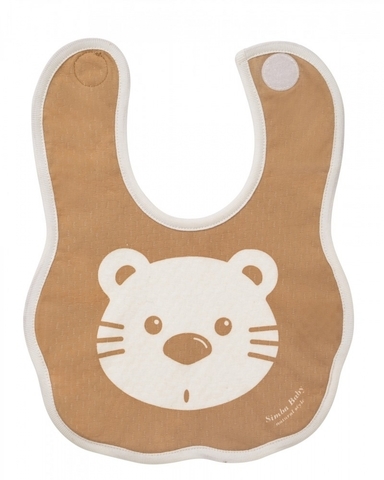 5.Velcro collar design prevent fall off when baby pull. 6.Breaths fabric and waterproof function.